Especially kind and comfortable! The Passier Special Caveson's unique bit recesses is especially gentle on the horse's mouth. The new 40mm noseband shape avoids any contact with the bit ring so that even the most sensitive of horses will not experience any pinching or discomfort at the mouth. The Passier Special Cavesson has been designed particularly for the Passier Gemini and Passier Aries bridles. Stainless steel fittings. With or without flash. Black. Special Features Designed particularly for the Gemini and Aries bridles. Stainless steel fittings. Available with or without flash. Passier Special Caveson with Bit Ring Recess is rated 4.8 out of 5 by 11. 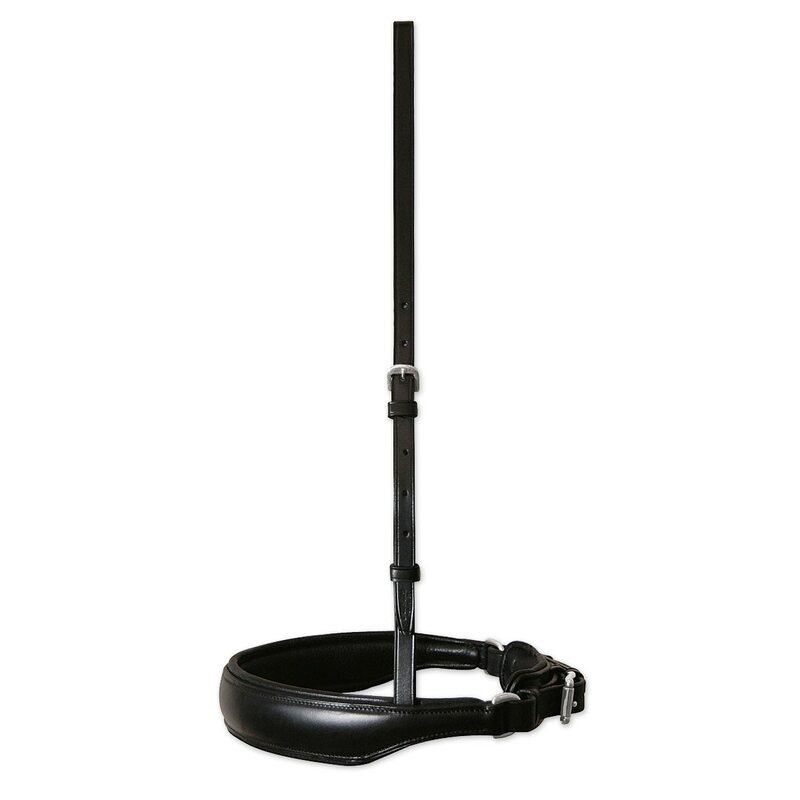 Rated 5 out of 5 by Dressage15 from Wonderful Noseband I purchased a full sized Passier bridle about a year ago that had this noseband and realized that my horse was actually between a cob and a full size, especially in the noseband area. I was excited to see that SmartPak had the same noseband in a cob size as I really loved the feature of the recessed area to allow for bit rings to move freely. The cob size fits my guy perfectly! I know other people have left reviews saying it's too big or bulky, but my guy doesn't seem to mind. Yes, it is a bit wider, but that allows for the cutout areas for the bit rings. It's softly padded, easy to clean, and wears well. My guy does have a bit more refined head and the noseband does not look out of place. I have received MANY compliments on the bridle and my trainer loves this noseband on my horse as it helps to give him clearer signals. Rated 5 out of 5 by ponita from Great for a large headed horse My beefcake has an oversize head and traditional nosebands look like hunter bridles on him. I prefer a chunkier euro style noseband. This offers that look and extra padding without interfering with bit placement, which is great. Excellent Passier quality and a fair price for what you get. Rated 5 out of 5 by Bari from Super soft and great padding I'd been looking for an extra wide noseband for my draft cross mare. I thought it would be more comfortable for her and look better than the average width noseband. I'd also been having an issue with her having sores occasionally from rubbing between the snaffle and noseband and was excited that this one was recessed and might prevent rubs. The cavesson fit great!!! The two inch width is perfect for her face and it's SO padded that I know it's more comfortable for her. Even with it being recessed, I still had rubs, but I added some neoprene underneath and that seems to have done the trick! Rated 5 out of 5 by Annie from Excellent quality, and super comfy I have a 17.1hh draft cross gelding, and finding bridles that fit has always been a pain. His head isn't much longer than that of a TB or warmblood, but is significantly wider, which leaves him somewhere between a full and an oversize bridle. I bought this as a replacement for my full size Shockemöhle bridle, which fit beautifully minus the cavesson, and I love it! The extra-wide style is flattering on a large face and the padding is super generous. I also really like the positioning of the bit recess. This cavesson has worked marvelously for me, but I wouldn't recommend it for anyone with a horse with a finer head, as the noseband is VERY wide. Rated 3 out of 5 by keysfins from Too wide and bulky Passier is notorious for excellent products. I would be very happy with this cavesson if the design was a bit more refined. The noseband is well over 2 inches wide over the nose, including the padding. It has nice padding, and the recess for the bit rings is a new idea. But it really overwhelms my horse's face and is very bulky. If Passier had a redesign with a noseband that is just as well padded, but a bit more narrow (1.25" to 1.5"), I would be interested, especially if the price was a bit lower. This one went back to SmartPak. Rated 5 out of 5 by Chestnut 3 from High Quality Caveson The Passier Special Caveson with bit ring recess is beautifully made with fine leather. Although I've only had it about two weeks the leather is already becoming very soft and pliable. I do clean it and condition it after each use so that it will give me many years of continued good use. The wide caveson is much more comfortable for my horse than a thin one would be. Not only is the caveson of top quality, the customer service from Smartpak is too. Rated 5 out of 5 by Dressagerider5 from Wonderful caveson I love this caveson. I bought it as a replacement caveson for my Kiefer bridle. I had a brand new bridle and my horse destroyed the caveson after only the third ride. He stepped on the flash just right while stomping at a fly. This one fits the bridle beautifully. I love the recessed areas for the bit rings. They work perfectly. The caveson looks so good with the bridle, that I got several compliments this last weekend on how nice my bridle looks on my horse. Rated 5 out of 5 by TLCfm from Excellent I bought one for my snaffle bridle and just bought another for my double. All the quality you would expect from Passier. The nose band is wide so if you don't have a big headed horse, you might want to think twice before buying this one. It could easily overpower a delicate face. 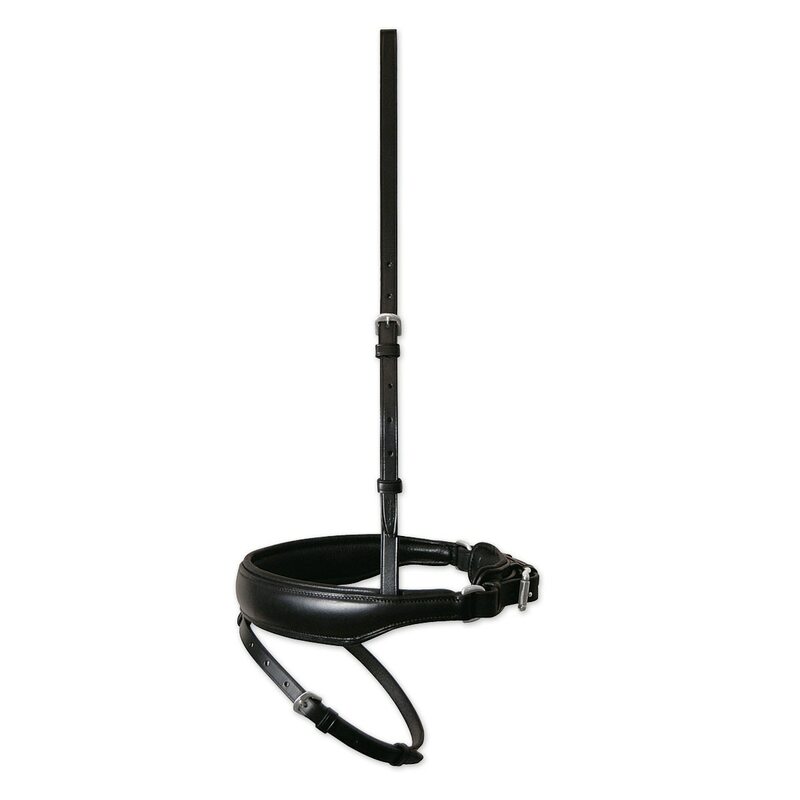 Works great on my big guy and I love the way it is cut out around the snaffle rings. Rated 5 out of 5 by BettyAnne from Totally In Love With This This caveson is what you expect when you hear the brand name Passier. The leather is buttery soft and everything is well padded. I could not be happier! This caveson is wide and I feel it is best suited to a larger horse, otherwise it would be overpowering. It looks perfect on my 17 hand slightly modern warmblood.